It's updated but also somehow the OP got hosed when I updated it. Working to correct it at the moment so please be patient. 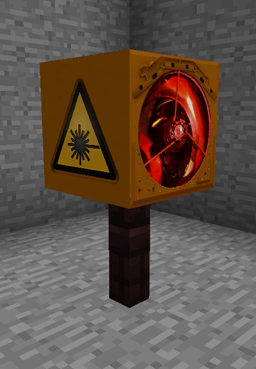 One of my favorite mods was always the Portable Mining Laser originally created by Yiab (original thread), It stopped working for me beyond version 1.4.5, so I took a crash course in Java and managed to get it working again under 1.4.7 with Forge. It is currently compatible with Minecraft 1.4.7, 1.5.2, 1.6.1, 1.6.2, 1.6.4, and requires Forge. If you want to use the mod or textures within, go ahead just please give me a nod when you do so. I've tested it to the extent of running it in debug mode in Eclipse while working on it and in Minecraft itself. So far I haven't seen any glaring errors, but if you find any please let me know. Version 1.5.2.2 has a significant update as far as fuels go, I'd gotten many complaints of the mod being "OP" and I'm hoping this might make the mod a little more challenging to use. 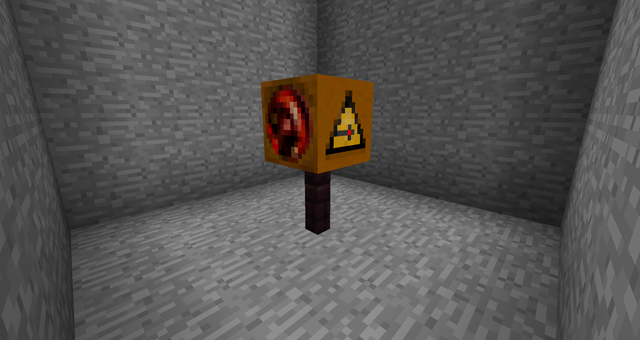 Redstone has replaced Coal as the minimum fuel, with Gold Ingots now set as the mid-grade fuel and for maximum voxel destruction, a diamond is required. I may switch back to the old fuels, right now I'm going to wait and see what everyone thinks of the new setup. * Updated to run under Minecraft 1.6.4. * Minor graphics update. The original 3 colors on the back of the PML served as indicators of the fuel that could be used, so I've updated them accordingly. I've also redone the 32x32 graphics as I wasn't thrilled with the results of the quick resize from last time. * Updated to be compatible with Minecraft 1.6.2. * Created 32x32 texture set for the PML2. * Updated to be compatible with Minecraft 1.6.1. * Redstone is now the minimum fuel, and will bore a 1x1x32 hole. * Gold bars are now the mid-grade fuel, and will bore a 3x3x32 hole. * Diamonds are now the top-level fuel, and will bore a 5x5x32 hole. * Added a firing sound when the PML2 is fired. * Added particle effects to the blocks being dropped. * Restored ability to destroy/drop bedrock via a config file parameter. * Restored ability to change the block ID via a config file parameter. 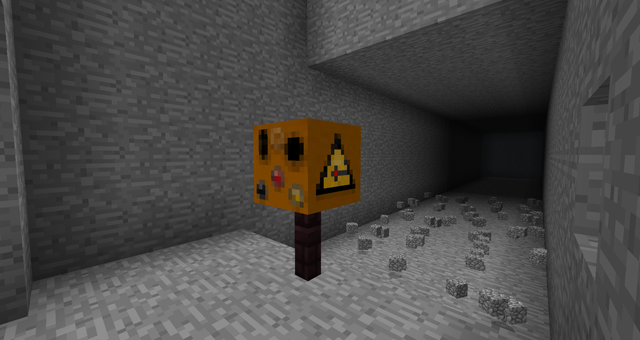 * Added a glow to the block for help mining dark corridors. * Completely rewritten to be compatible with Minecraft 1.5.2. * ModID changed to PML2, config file is now PML2.cfg. * PML no longer penetrates bedrock. * Added two new config options, LAVATUNNEL and AQUATUNNEL (see instructions below). * Added an external configuration file. * Added a SELECTFIRE (see instructions below). 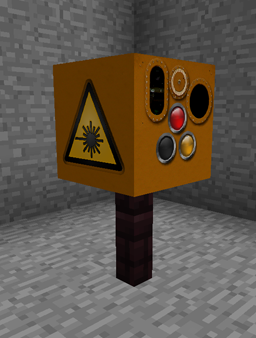 * Added new textures to help indicate the direction that the PML will be firing. * Added 256x256 texture version of the mod. * Initial release, updated Yiab's code to run under Forge in Minecraft 1.4.7. I personally use Magic Launcher, but extracting it to the Minecraft.jar or placing the ZIP in your "mods" folder under ./minecraft should work just as good. I haven't been able to get Magic Launcher to work with the new version of Minecraft, but can confirm that once you've installed forge and place the ZIP file for the mod into your "mods" folder, it will work as expected. I:AQUATUNNEL=0 - Set this to 1, if the laser clears any blocks adjacent to water, the adjacent blocks become glass. Allows for tunneling through bodies of water. I:BEDROCK=0 - Set this to 1 to punch through bedrock. I:DROP=1 - Can be 1 or 0, 1 drops all items to be picked up, 0 destroys them. I:LAVATUNNEL=0 - Set this to 1, if the laser clears any blocks adjacent to lava, the adjacent blocks become glass. Comes in handy when mining near lava pools. I:PMLID=501 - The block ID of the PML. I:SELECTFIRE=0 - Can be 1 or 0, 0 is the default which mimics the standard behavior of the PML when DROP=1. When set to 1, the PML will destroy cobblestone, dirt, gravel, sand, and stone while allowing anything else within its firing range and radius to be dropped for pickup. It will override the DROP setting if you decide to enable it, so if you set DROP=0 and SELECTFIRE=1, the SELECTFIRE=1 takes precedence. I'll make it neater eventually but this works for now.In order for a setting to take effect, you must restart Minecraft after making the change. Once created, place the block where you want to clear a massive amount of blocks in one shot, its default firing direction is the same direction you're facing when you place it. The direction can be changed by right clicking on the block with any tool or your hand. Besides the big red aperture on the front, there are labels on each side as well as a unique rear texture to indicate where the PML is pointing. * Redstone - Clear a 2x1x32 row of blocks. * Gold Ingot - Clear a 3x3x32 row of blocks. * Diamond - Clear a 5x5x32 row of blocks. I've never used this in Multiplayer, only Single player. Version compatibility note: The version naming I use for the PML/PML2 is that the first 3 digits indicate the version of minecraft it is compatible with and the final digit is the revision. Versions past 1.5.2.2 use the "new" fuel configuration. I'll always try to have a link up to the last revision for any major version of Minecraft. 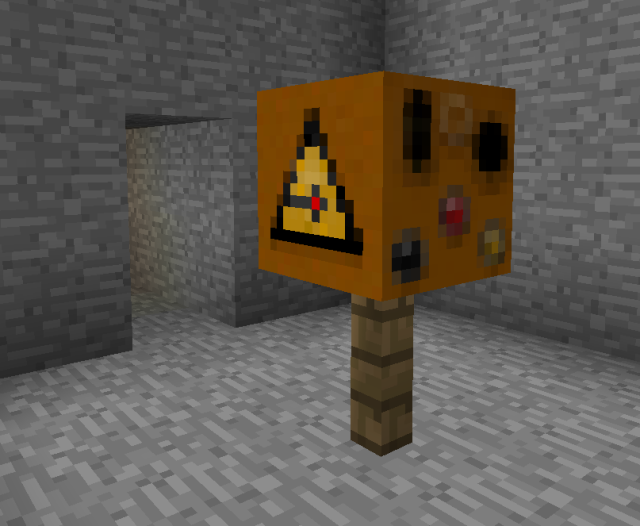 Make sure you're running the correct version of this mod for your version of Minecraft! For example, version 1.6.2 of the PML2 will not work for version 1.6.4 of Minecraft. I don't play much anymore, so if Minecraft gets updated, reply to this thread and I'll do my best to get an updated version of the mod out to all of you. Otherwise, if you experience an odd error, drop me a line here and I'll see what I can do to help. 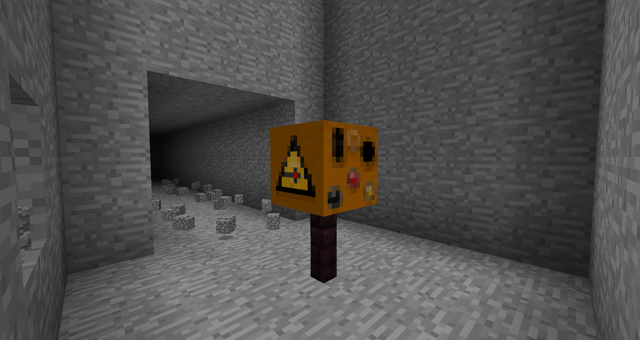 I'm comparing this mod to a similar-functioning item from another mod, (More Explosives) the Tunnelling Explosive. the PML has a longer range and adjustable options, although it's somewhat hard to tell where the pointer gets exactly aimed when repositioning it by tool/hand right-click. It may not be readily available at first because it needs a diamond to craft, but hey, It's reusable (as long you've got the pickaxe). On the other hand, while the Tunnelling explosive is a one-time-use item by itself, it only needs a flint-and-steel to be activated. If you happen to misplace it, you can get it back with relative ease even by your bare hands (can't be retrieved if you already activated it). Also, from any angle, you can easily tell where the explosive is currently pointing at. As for availabilty, although it doesn't require some rare-occuring items to craft, the materials and steps to craft one are numerous. Finally, the Tunnelling Explosive does not affect Obsidian and Bedrock, which may be a bad thing for the former, and a good thing for the latter. In the end, the comparison is more something like "apples and oranges", although both fruits provide Vitamin C.
I'm going to add some screenshots shortly... Might seem overpowered - the original mod had a config file where you could tweak the settings, I need to rework the code to enable the feature. I didn't even know about the coal / redstone / gold options until I dug in to the code. Once the config file is working, then it can have more variable options as far as how big the radius or depth of the hole will be. I see what you're saying - the whole reason I started using the original PML was because it allowed me to both speed up collecting resources as well as make some spiffy underground bunker style caves. I've tried a few other laser/drill/explosive mods but none provided me exactly what I wanted as much as the PML did. The direction of where it was pointing was always one of the things that didn't sit right with me when I started using it. Normally when first placing the block it will be facing away from you, but in a tight spot I'd have to move around the block after adjusting it to make sure it was going to fire where I wanted it to. It's something I plan to make a little MORE obvious as I proceed with it. Another thing I plan to do - which is along the lines of customizing it so if I wanted to blast out a bunch of blocks and only destroy what I didn't want is making it so that the bedrock remains unaffected. I fell out of the world accidentally more than once when I first started using it. I hope this keeps going. This looks like a very good mod. However I have 1 simple question. What are the black ingot looking things in the recipe? from what I can tell, you need to use the vanilla texture pack when taking screenshots, or risk massive confusion! hell yeah im just that good! You should have the dropped items to eject the items behind the laser or in a chest next to it. My bad, used the texture pack I'm building when I made the original screenshots. I've redone them with the stock Minecraft textures. The black looking ingot was iron. LMAO Thanks for that, I like your style I'm going to do a video eventually, but yours works for now. You should have a better idea of where it's pointing with the new textures. That's a cool idea, part of the fun for me still involves running out into the area I cleared and picking everything up. I'm kinda learning as I go but I'll definitely keep it in mind. looks pretty cool, ill give it a shot. Thanks gee. Yes but too many items can get laggy. Extract to .jar, or put in /mods? I use Magic Launcher, should work just as good dropping the mod into the "mods" folder... yup just tried it, that works. Could probably drop it in the .jar as well. One suggestion, if possible: Could you change the fuels slightly? More specifically, redstone. Redstone is insanely common at the lower levels, and you find much, much more of it than you spend when excavating there. Gold is somewhat less of an issue in that way, but still feels a LITTLE OP. Maybe make the 3x3 mode require a new item, like coal crafted with 8 redstone, or something. EDIT: Lately, my mind's been toying around with an alternative, but a little complex, idea about PML, so please take the following post with a grain of salt. And since this will now require two different items to operate the PML, I am envisiong a GUI for its operation when right-clicking the PML; one slot to place the primary fuel (coal, redstone and gold ingot to determine the width) with another slot for the pickaxe. The GUI would also have the option for changing the orientation of the PML, and finally, the "Activate" button. Some pew-pew laser-like sound effects would be fine too. The next version I'm hoping to have the control GUI up and running so the player doesn't need to reset the client to change the settings. I'm also seeing if there's a way that I can make it so drops automatically transfer to a container or home in on the player - but that's more long term stuff. I'm also working on a variation of this mod I call the "Toss N Cross" - a block that when placed and fueled will automagically create a 3x16 - 256 long path with whatver block style is specified... Makes traversing ravines and pits a lot easier. So any chance of this being updated to 1.5?? I'll take a look at what I need to do so it will work with 1.5... I haven't played for a couple weeks.